The Hoosier DX and Contest Club is an amateur radio club located in central Indiana dedicated to contesting and chasing DX. Major club activities include sponsoring the Indiana QSO Party, Field Day, maintaining the network of DX clusters in the area and providing a QSL card field checker for DXCC, WAS, WAC and VUCC awards. Meetings are held the second Wednesday of each month and begin at 6:30pm. The normal format is dinner first, then the club business meeting and perhaps a presentation. The Squealers location where we have been holding meetings has permanently closed. The meeting room is not available until 6:30pm. 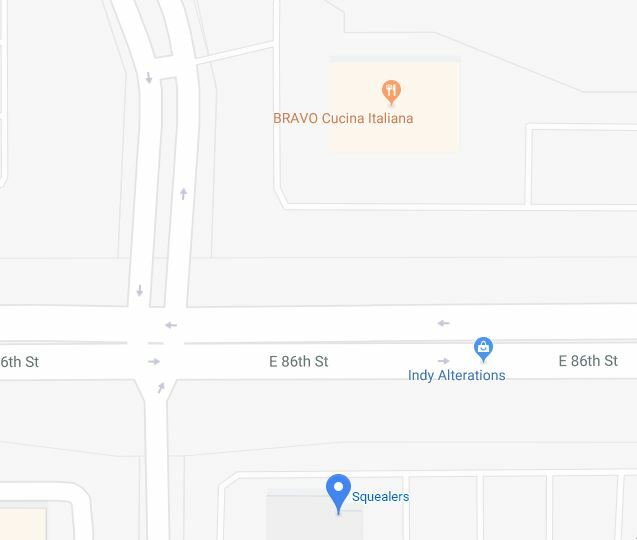 Bravo is located immediately across E86th St from the Squealer's location.